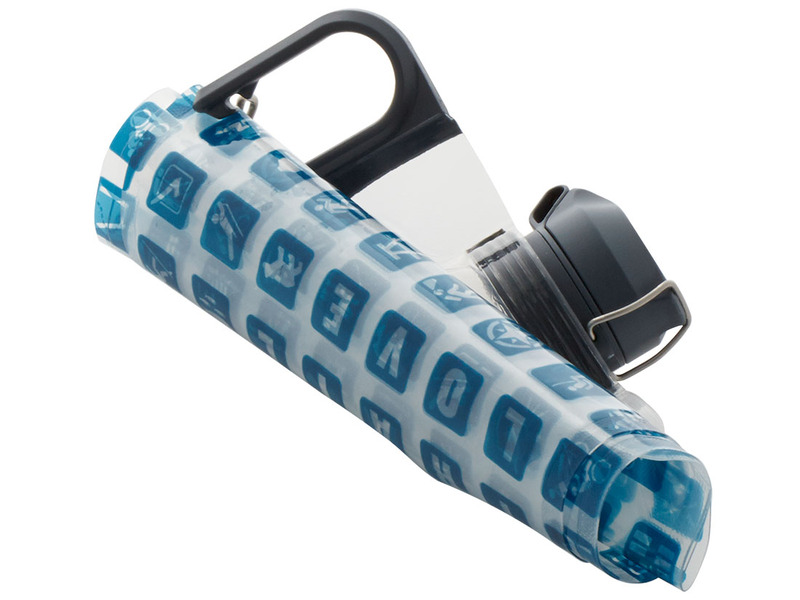 High capacity flexible water bottle with dual-locking cap. Learn more. Perfect for carrying or stowing larger amounts of water, our 2 liter DuoLock SoftBottle flexible water bottle's dual-locking cap delivers double the protection for leak-proof confidence. 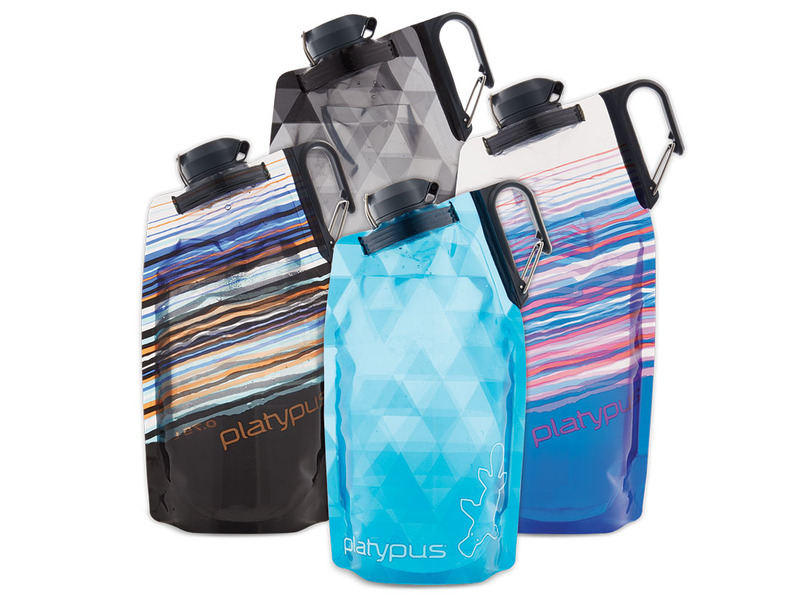 The water bottle is conveniently easy to carry, fill, and pour from, making it a highly versatile water transport and storage solution. Packable: Flattens and rolls up when empty, saving space. Secure: DuoLock dual-locking cap won't accidentally flip or twist open, averting leaks. 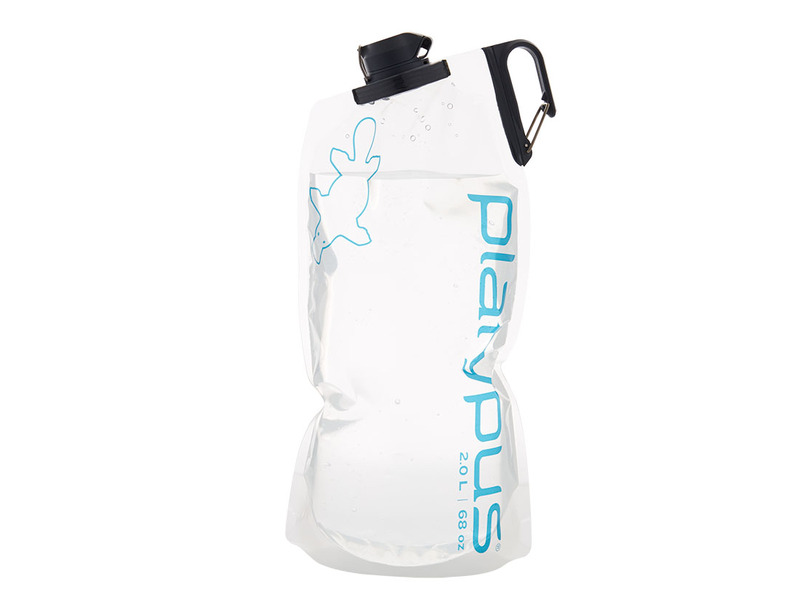 Pure Platy experience: Materials are taste-free, BPA-free, BPS-free, and phthalate-free. Easy to fill and clean: Wide mouth opening eases filling and cleaning; bottle is dishwasher safe. Ready to go: Clip gate handle makes it easy to carry the bottle, or securely clip it to a strap or loop. Ergonomic: Bottle is shaped to make it easy to grip, tip, and sip or pour. Country of Origin Made in U.S.A.
How do I dry my Platypus bottle? Platypus bottles can be dried by blowing a little air into them to inflate, then letting them stand upright and uncapped until the water evaporates. 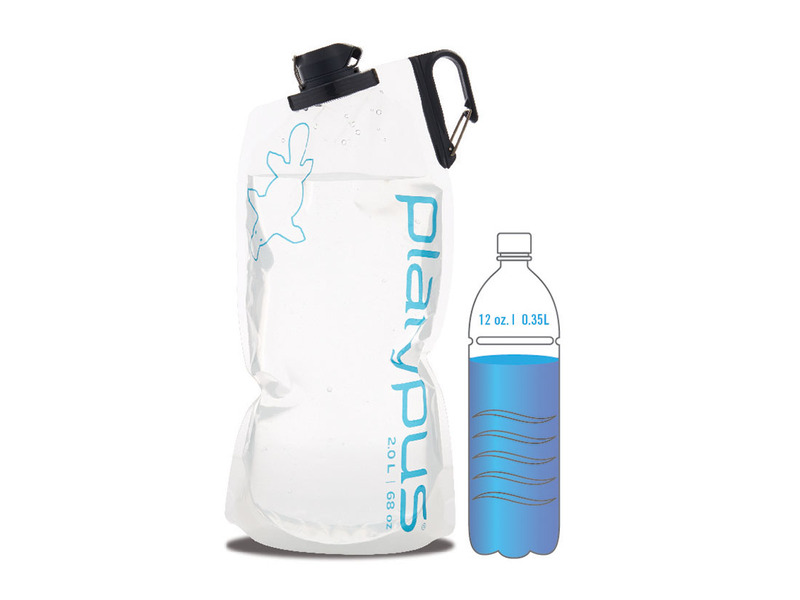 Can I put beverages other than water in my Platypus bottle, reservoir, or storage product? 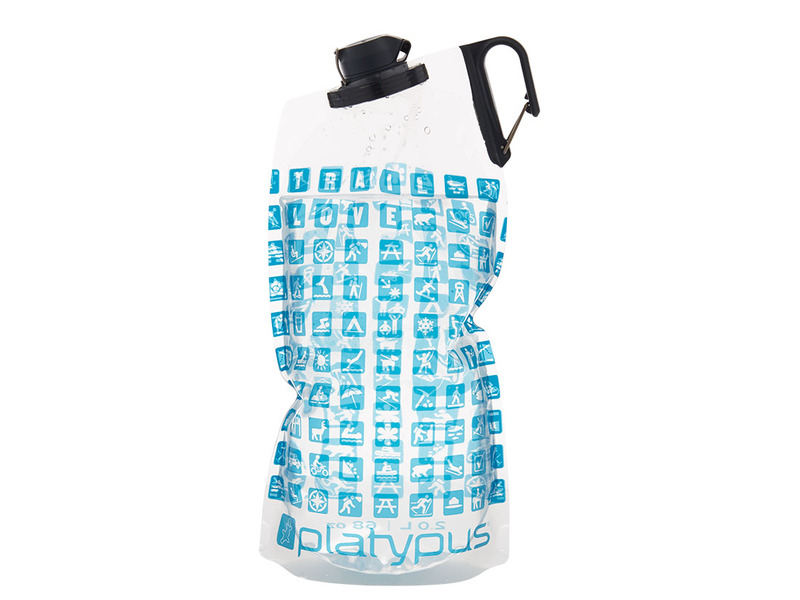 You can put a variety of beverages in your Platypus bottle, reservoir, or storage product. Just make sure you clean it thoroughly after each use to prevent bacteria from growing in it (including any hydration tubes or bite valves). Carbonated beverages are not recommended. 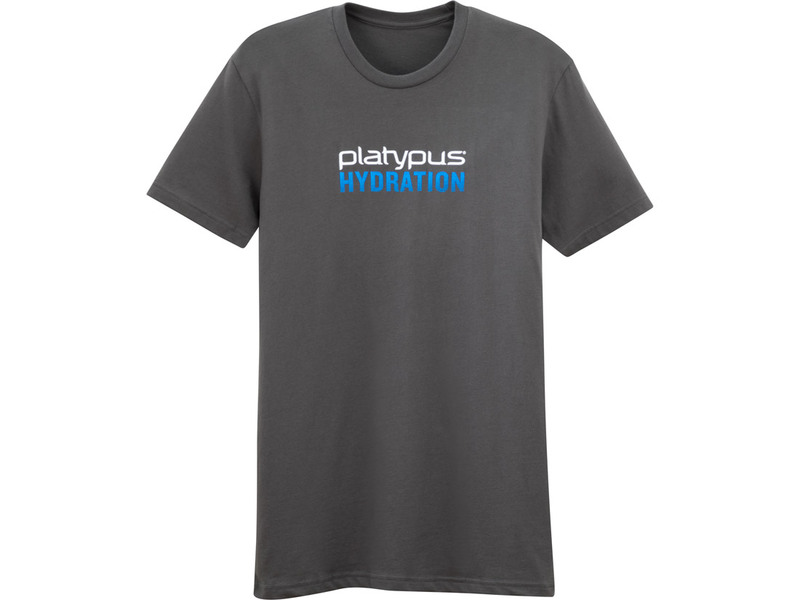 How do I disinfect my Platypus bottle? To disinfect your Platypus bottle, fill it with a solution of unscented household bleach and water, using a concentration of 2-5 drops per liter of water. Close and swirl for 10 seconds. Leave filled overnight. Dump solution and rinse bottle three times with hot water, then air dry. For a more planet-friendly alternative, use a chlorine-free, hydrogen peroxide-based bleach alternative like Free and Clear™ available from Seventh Generation®. Can I freeze my Platypus bottle? How do I clean my Platypus bottle? Platypus bottles are dishwasher safe. When placing Platypus bottles in a dishwasher, make sure they are fully expanded for optimal cleaning. Note: not all bottles may fit in a dishwasher, especially sizes 2L and greater. You can also hand wash our bottles using warm or hot soapy water. Using our Reservoir Cleaning Kit helps access tough to reach places. a. Per liter volume of your bottle, add ¼ Cup of baking soda to ¾ Cup of water and shake for 30 seconds (e.g., for a 2L bottle use ½ Cup of baking soda with 1 ½ Cup water). b. Add ¼ Cup lemon juice per liter, close and shake 10 seconds, and vent by loosening cap away from face. c. Re-seal bottle and repeat shaking and venting three times. Expel as much air as possible, cap bottle, and soak for 20 minutes. d. Dump solution and rinse bottle three times with hot water. Caution: When adding lemon juice to baking soda, effervescence occurs and will cause pressure to build in a capped Platypus product. The zipper tracks on my water tank are hard to close. Can I make it easier? Yes. Periodically adding a little Vaseline to the tracks will keep them supple and easy to close. Wipe away any excess Vaseline. In the field, a little lip balm or water can do the trick. When closing the zipper, make sure to firmly pinch along its full length to properly seal it. How do I ensure my Water Tank’s Big Zip™ closure is properly sealed? From one end of the Big Zip™ zippered closure to the other, firmly pinch together both sides of the zipper along its full length. You should feel positive tactile feedback as the zipper connects and seals. Once sealed, invert the Water Tank to test the seal—a properly sealed Water Tank will not open in this test. Do any of your products contain BPA, BPS, phthalates, or use polycarbonate? No. 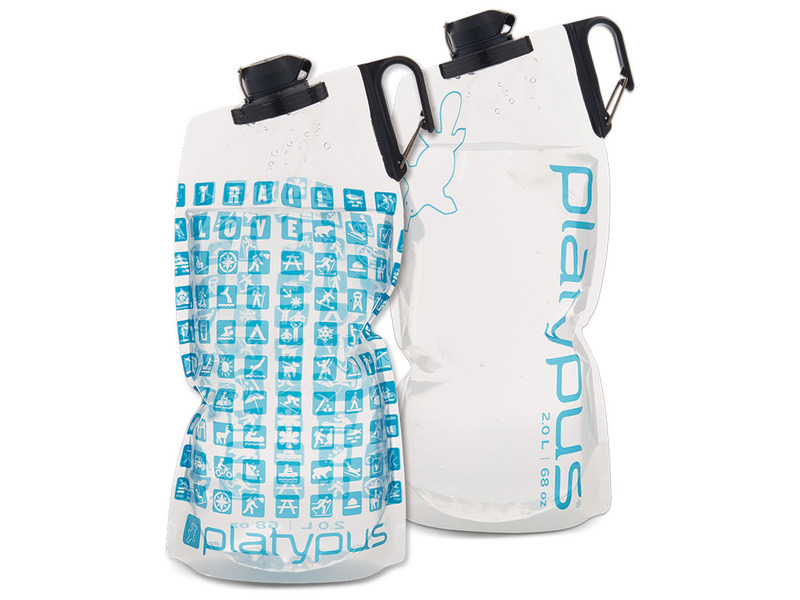 All Platypus hydration products are 100% BPA-, BPS- and phthalate-free, and do not use polycarbonate.